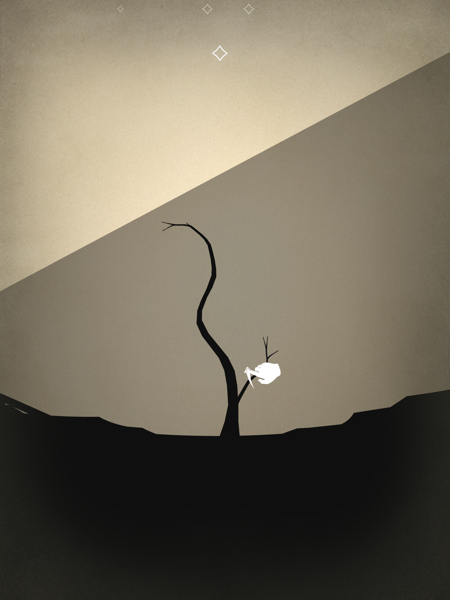 My first impression of Prune was that it’s going to be more art than game. I got some very strong Monument Valley vibes from it, especially with its minimalistic icons and very similar camera feature. That would be fine, as I do love games as art. But as I progressed, the levels got significantly more challenging. Like any good puzzle game, it throws new elements at you every once in a while. So while I still think the game is primarily art, there is also plenty of game here. And that’s what I want to touch upon, because otherwise, I think this review might just be about thirty photos and that’s it. The only word you’ll see in the game is its title. Everything else is either shown or simply learned by trying something and seeing what happens. The game starts by showing you a little hand motioning for you to swipe upwards from the spot of soil near the bottom of the screen. Your tree will then begin to sprout. 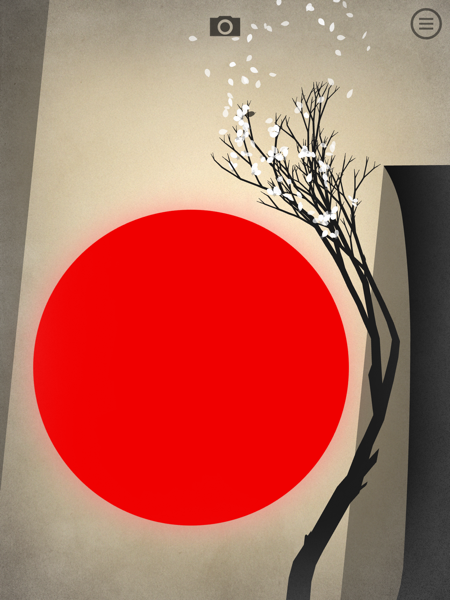 Then the game will show you how to prune the branches — by swiping at them a la Fruit Ninja. When you prune a branch, it causes other branches to grow. And this is the basic idea of the game. You trim parts of the tree off to get other parts of the tree to go where you want. Where you want the tree to go is usually toward sunlight, so the flowers can bloom. But there will be obstacles in the way. 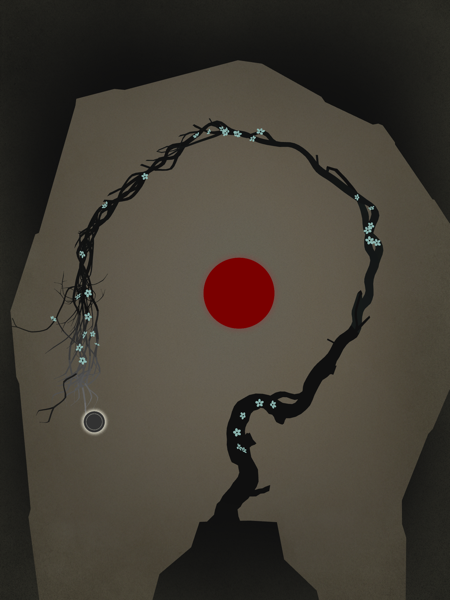 At first, you’ll have to deal with black orbs that kill any parts of the tree that touch it. But before long, you’ll be introduced to red orbs which infect the whole tree like a disease if you don’t cut away the infected areas. The game continues to introduce new obstacles as well as some aids. I don’t want to to give too much of that away, though, as part of the joy of the game is in the discovery. But there is enough challenge here that I doubt anyone will be able to complete the entire game without at least a few failed attempts at some levels. Thankfully, the game does offer up a skip button if it sees you’re struggling with a level. I was really happy to see this, as it removes any reason to quit playing. Since that option is available, I saw no reason to cheat, and instead came back to the more difficult levels when I had completed the rest. When enough flowers have bloomed, the game will allow you to continue to the next level, and the petals will blow in the wind. The animations are just flawless and breathtaking. If you “beat” a level but aren’t ready to move on yet, you can continue to prune your tree and see if you can make it grow more. I did so with this level shown below, as it felt like it was asking for it. It took several attempts to make that happen, but the finished product was so worth it. It feels like I’m creating artwork myself within the game, as opposed to just looking at it. That’s also why I think it was a brilliant idea to include a camera like Monument Valley‘s. While I think photos don’t do it quite the same justice as seeing it in action, it’s still a lot of fun to show off your trees and see what others have made. Perhaps video sharing would have been even better, though. There’s also a bit of a hidden secret that you can find if you do a particularly good job pruning your trees. I don’t want to give it away here, but it provides a bigger challenge for those who want it. I think the competitive side of me does wish there was some form of GameCenter achievements to give me more of an incentive to improve my game besides making beautiful art (although that is a pretty good reason). Both artistically and puzzle-wise, the game went places I never expected. But it all felt perfectly natural. I think there are also some themes about sacrifice, especially later on. While the game remains gorgeous to the end, the later levels are a bit unsettling. The music also captures the atmosphere perfectly. I recommend using headphones if you don’t live in a quiet area. 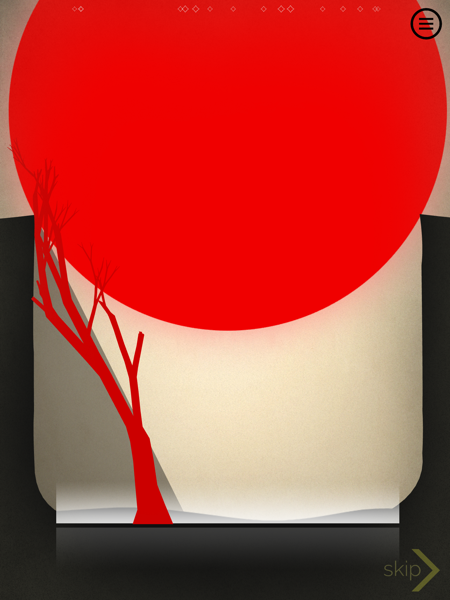 It’s a very relaxing, meditative game and the music is a big part of that. I really have nothing negative to say about Prune. I did encounter a bit of lag in the later levels, as well as some quirky tree behavior, and the camera can be a bit weird at times. But hopefully the developer can fix those. They’re really very minor issues in an otherwise flawless game. 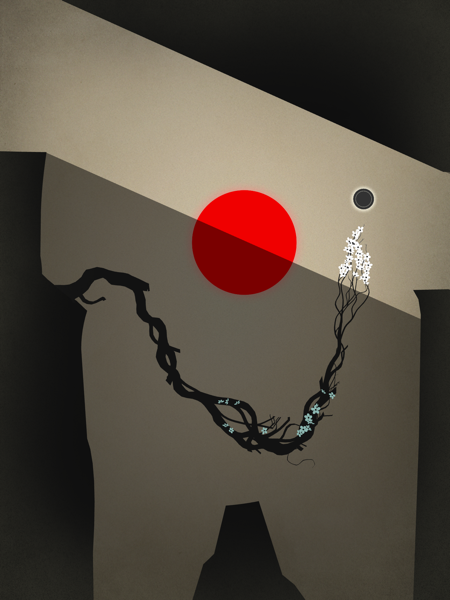 If you enjoy games as art, don’t even hesitate. 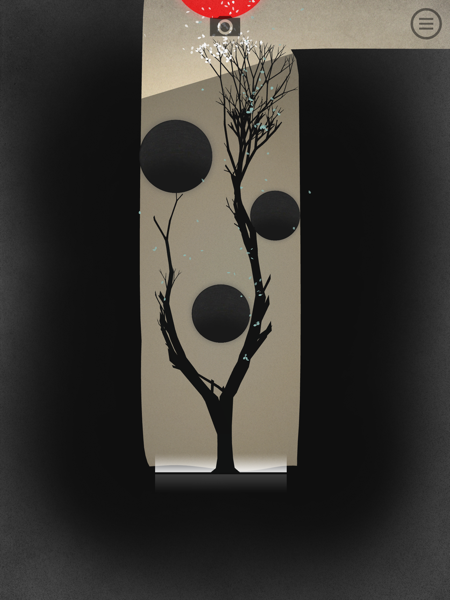 Just download Prune and get lost in it. If you’re already playing the game and need some help, try my Prune walkthrough guide. Mines of Mars gets an update with lots of fixes! I’ve been waiting for this one for a while & it was worth the wait. Very well done & it’s beautiful. Loving it. Isn’t it gorgeous?! I had to fight the urge to just post tons of photos. My game data keeps resetting. Like every time I close the app and start it again, I have to start from the very beginning… Anyone experience anything similar to this?